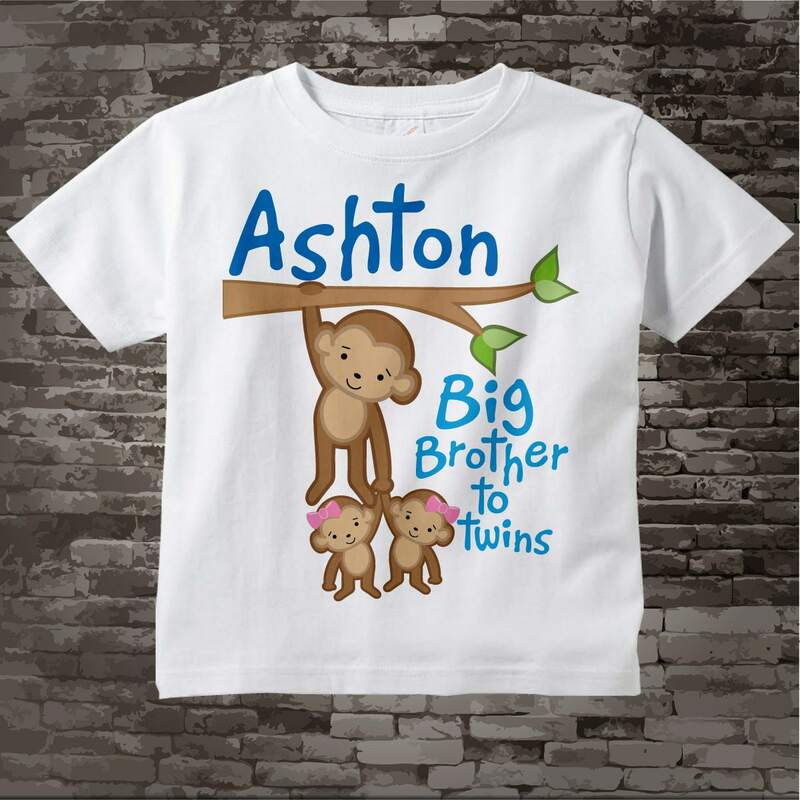 Super cute Personalized Big Brother to twins tee shirt with two awesome twin girl monkeys with him. 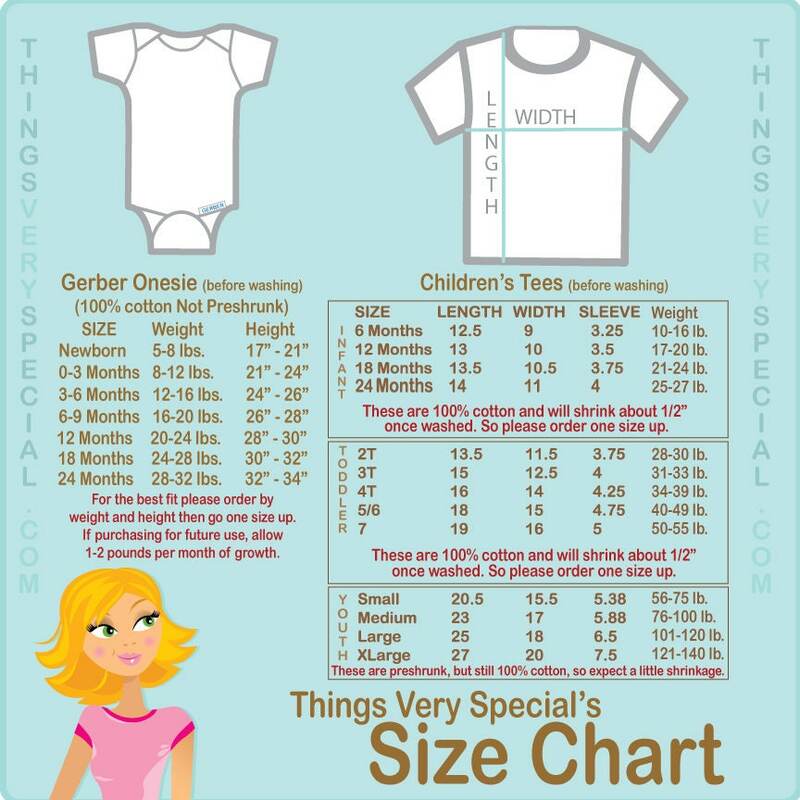 So cute, just like it's pictured! Great for those names you never find on things. Bought this for my sister in law's impending "sprinkle" and I can imagine she's going to love it. 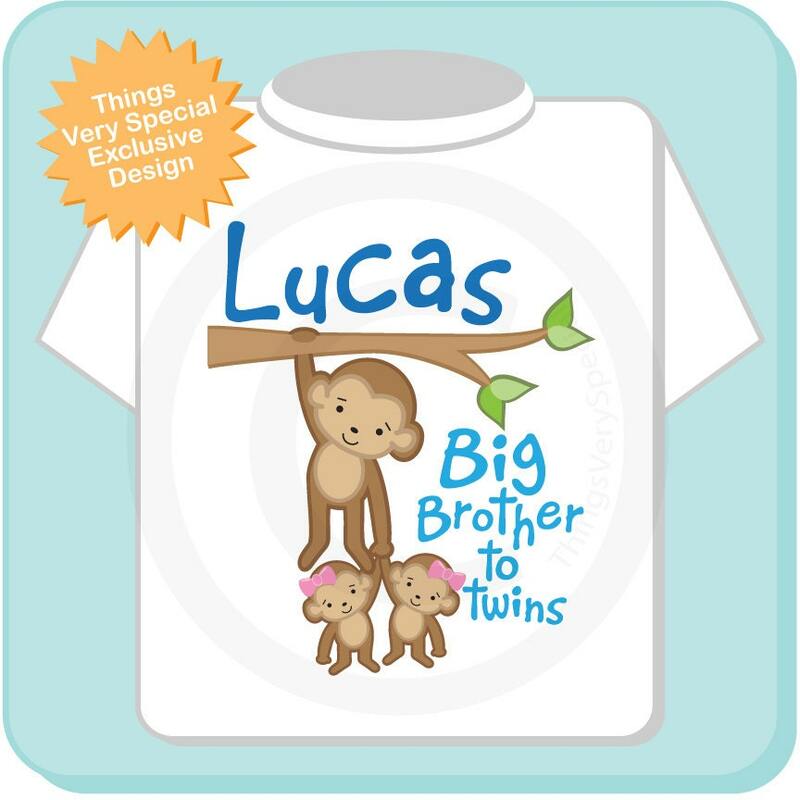 Such a cute shirt, well made and arrived fairly quickly. Would definitely use this seller again.